When I came up with my 11 Sexiest Gadgets of 2011, some commenters agreed with my inclusion of the Porsche/RIM BlackBerry P’9981. But many others didn’t, calling the device nasty and kind of beasty (not in a good way). Well, I stand by my decision. Not only is it a full-fledged smartphone machined with precision, but its quasi-industrial aesthetics is make it stand apart from other luxury devices oriented for affluent users. Don’t believe me? 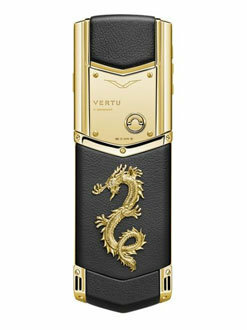 Well one look at the Vertu Dragon smartphone might make you see the light. O.M.G. This is some powerful ugly. Okay, I get it — Dragon is a lucky symbol in Chinese astrology, at least according to the horoscope place mats at my favorite Asian fast food joint. And sure, maybe the Lunar New Year having just passed is worth honoring. But this? I know Vertu offerings tend to go a bit overboard, but not all of them look like they come straight out of the 80s (not in a good way). 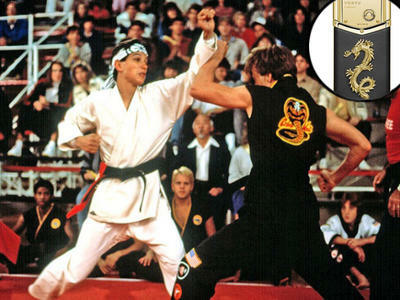 Looks like Karate Kid’s Cobra Kai dojo is missing its official pet gadget. Thankfully, those of us in the U.S. will be safe from this Dragon, as it will be produced in extremely limited supply for the Asian market. And if the movies have ever taught us anything, that region of the world is used to dealing with monsters. I am truly sorry I brought this to your attention, but it had to be done. You are now free to scrub your eyeballs. (I know I will.) Now, let’s move on and never speak of this again.